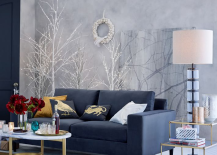 Would you much rather prefer to see Santa dressed in a smartly tailored monochromatic suit and riding in a minimalist chrome and glass sleigh? 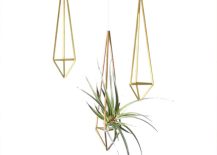 If so, there’s a good chance that you’re a modern design junkie, but there’s no need to fight your affliction. 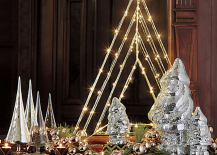 Instead, embrace your love of all things sleek by adorning your home in streamlined versions of classic Christmas decorations like the ones we’ve selected for you after the jump. 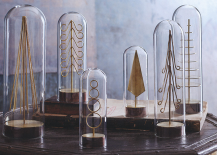 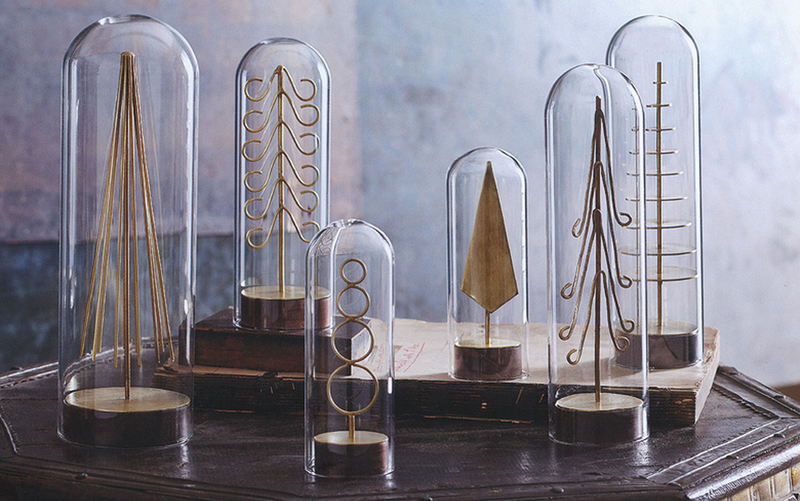 These understated sculptural trees are an elegant take on children’s snow globes with their whimsical mix of glass, wood and brass. 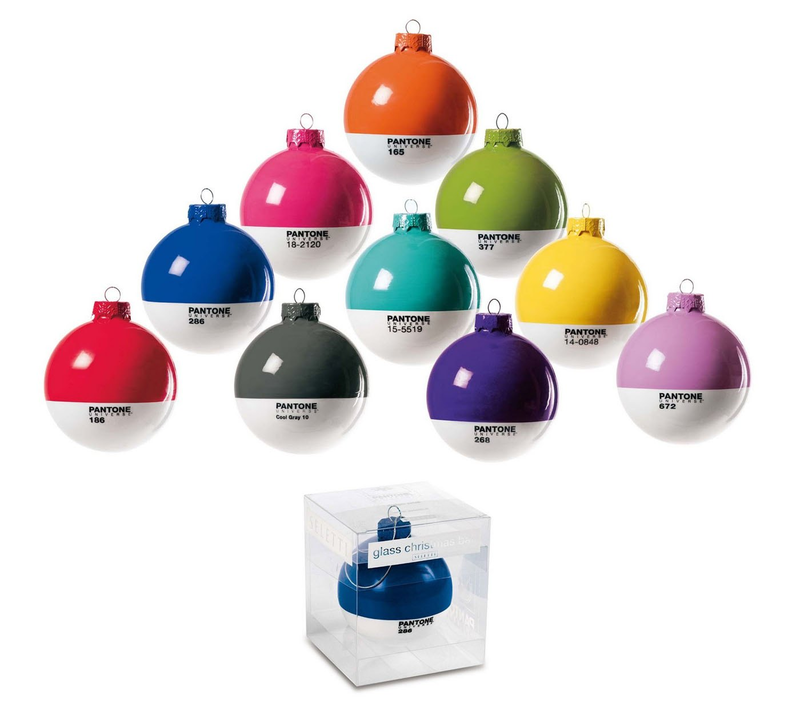 Each set comes with six pieces, and the trees can actually be removed after the holidays so that the glass domes can be used to display other seasonal items. 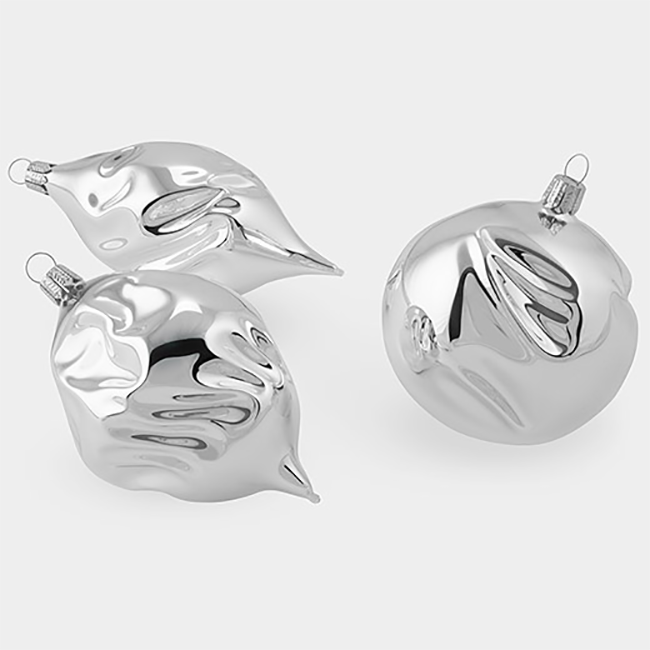 Celebrate the tiny imperfections in life that make it so beautiful with the MoMA Store’s “Wrinkle” ornaments. 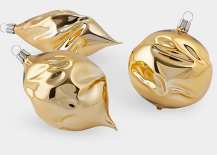 Made of hand-blown glass in three abstract shapes in your choice of either silver or gold, they add a touch of sparkle that is charmingly off-kilter. 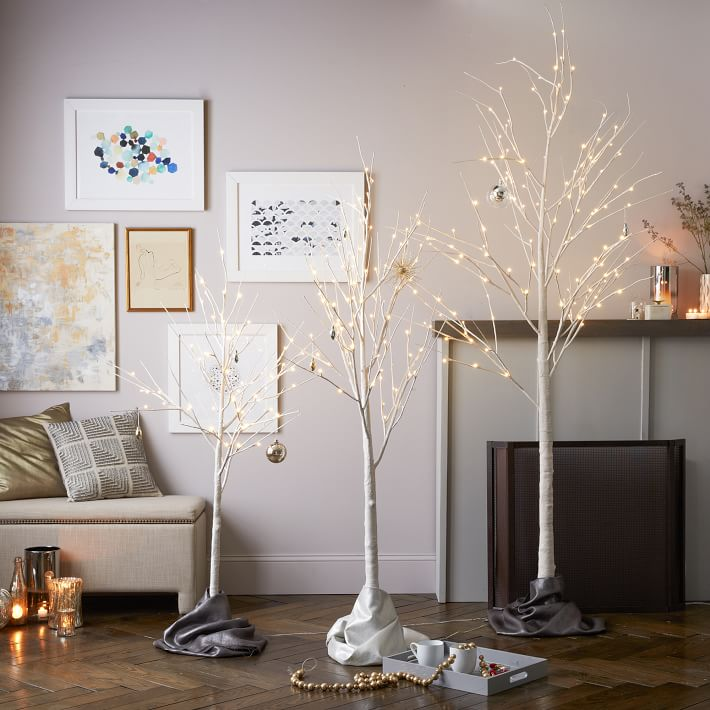 Can you imagine how lovely your living room would look all aglitter with one of these freestanding LED trees? 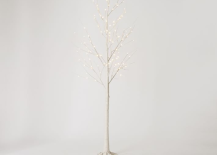 Better yet, opt for a whole grove of them to create a winter wonderland right inside of your home that can be stored away and reused year after year. 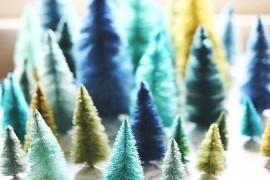 Are you going “gnome” for the holidays? 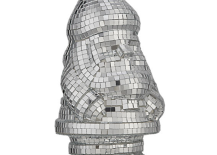 If not, perhaps these outrageous disco gnomes by husband-and-wife design duo Robert and Cortney Novogratz will change your mind. 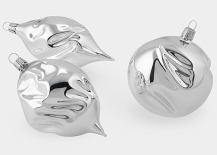 Marrying the glitz and glam of a disco ball with the playful quality of everyone’s favorite garden statue, this little guy sends the message loud and clear: It’s time to party! 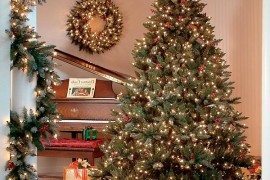 Skip the bulk and bore of a traditional Christmas tree (and having to clean up all of those pine needles) by opting for one of these airy acrylic Christmas trees. 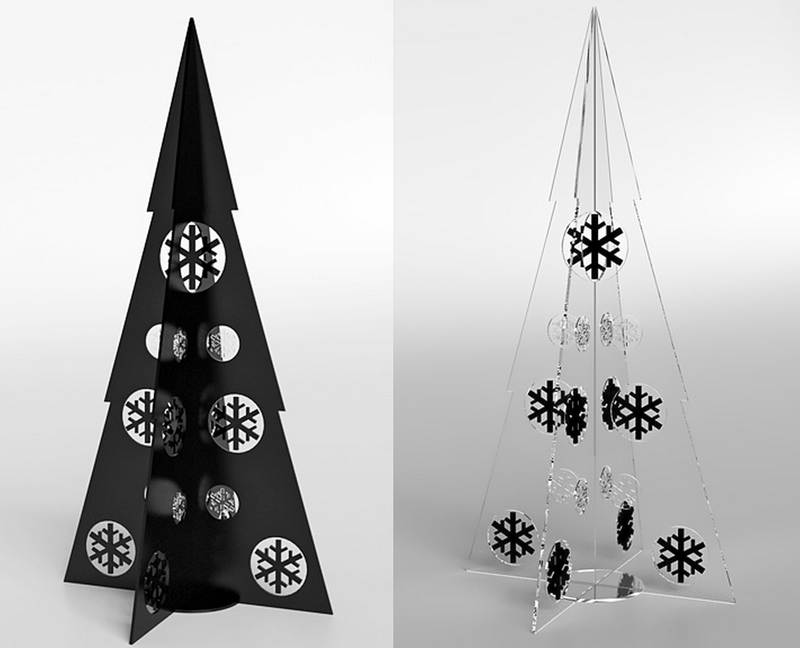 They come in black, clear, or a mix of the two, and come flat-packed for easy assembly and storage. 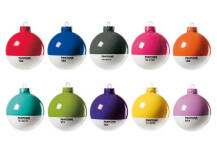 Or, you can go in the opposite direction and get colorful with these super fun Pantone ornaments. 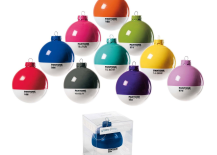 Paying homage to the world’s most famous color authority, these rainbow-hued orbs will definitely have your holiday guests doing a double-take. 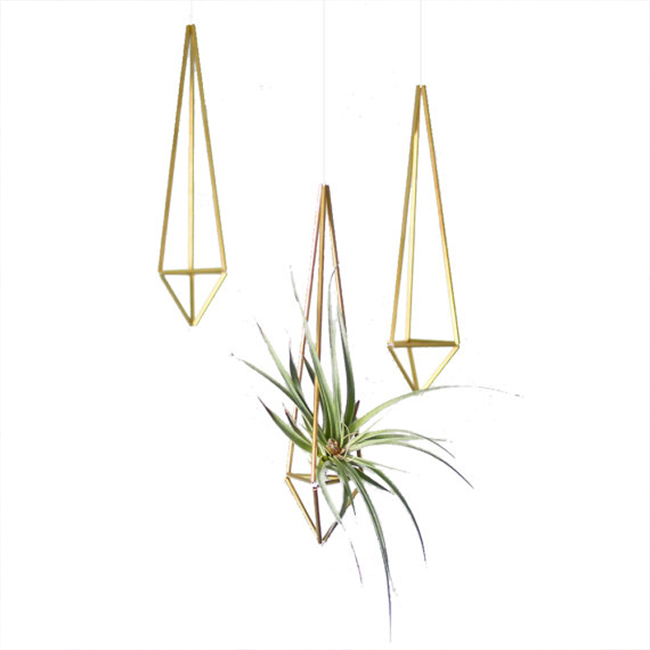 Taking a cue from traditional Finnish himmeli mobiles, these geometric prisms are a minimalist interpretation of the typical Christmas tree ornament. 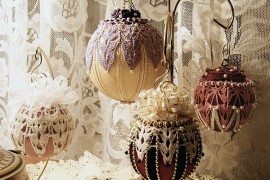 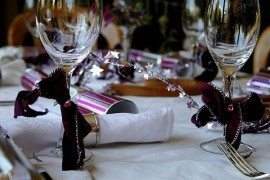 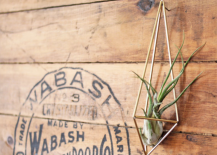 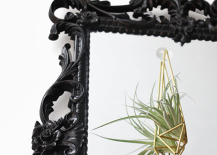 Their delicate appearance can be further enhanced with the addition of an air plant or other embellishments such as feathers, berries or anything else you can think of! 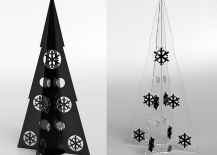 And if you prefer to make them yourself, Instructables has an easy-to-follow tutorial here. 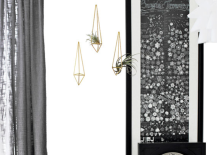 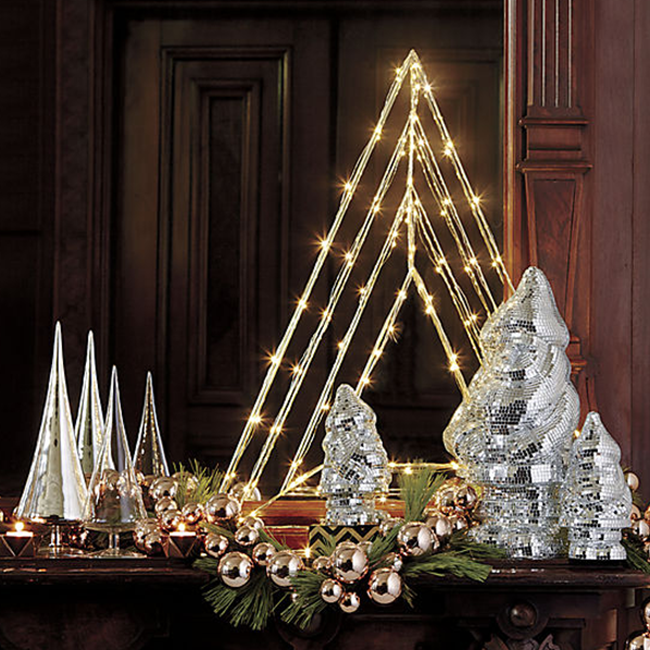 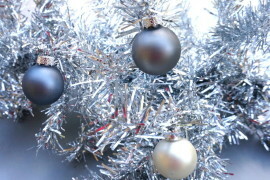 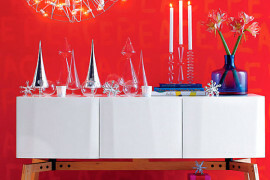 Which of these bits of holiday cheer would look best in your modern home?